That's the one, Marv. That's the silver tuna. Only the real Home Alone fans know the best parts of the movie. 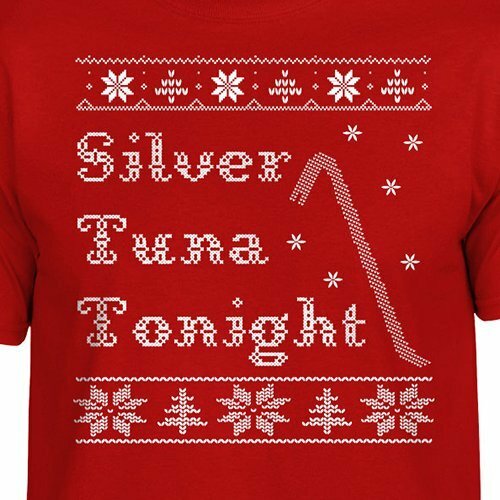 Show off your retro love this Christmas with this hilarious Silver Tuna Tonight ugly Home Alone Christmas sweater! Printed on our crazy-soft, super-smooth, pre-shrunk, ring-spun apparel. We simply wouldn't print on any shirt that we don't wear ourselves. Don't forget to check out our size chart for the specs on all of our sizes. Shipping & Processing: All of the items in our store are hand-made to order. As such, it currently takes us anywhere from 1 to 5 business days to prepare your shirts. After your order has been prepared, it will be marked as dispatched on Amazon and processed for shipping. If you have any questions about this product by SundayBest, contact us by completing and submitting the form below. If you are looking for a specif part number, please include it with your message.